I mentioned a while back that I would be participating in another Progressive Needles Knit-a-Long, hosted by Michelle Hunter. This is the hat we made! I had been wanting to make myself an interesting hat (I only had one boring, plain one) and this one fits the bill perfectly. 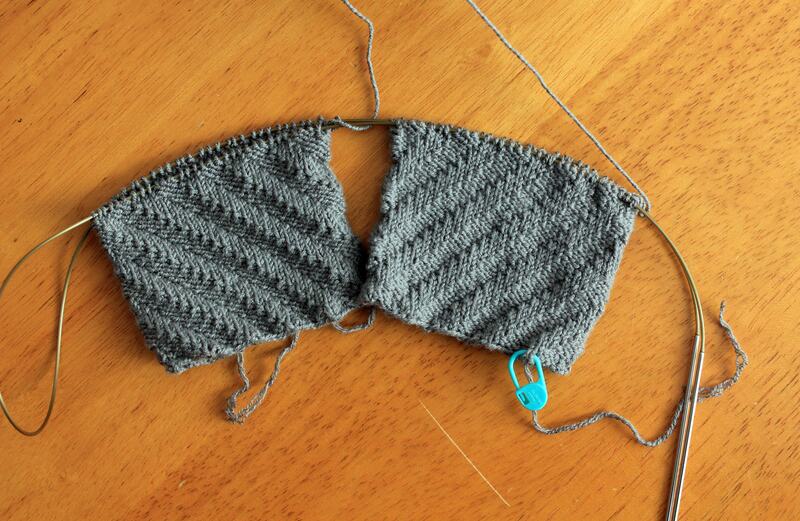 I always learn a lot from Michelle’s knit-a-longs. This was my first time doing stranded colorwork, but her instructions made it much easier than it looks. She encouraged us to learn to knit with one color in each hand. It felt very awkward at first knitting with my left hand, but I got the hang of it by the end of the hat. Learning a new technique like that opens up so many possibilities for new patterns to try! 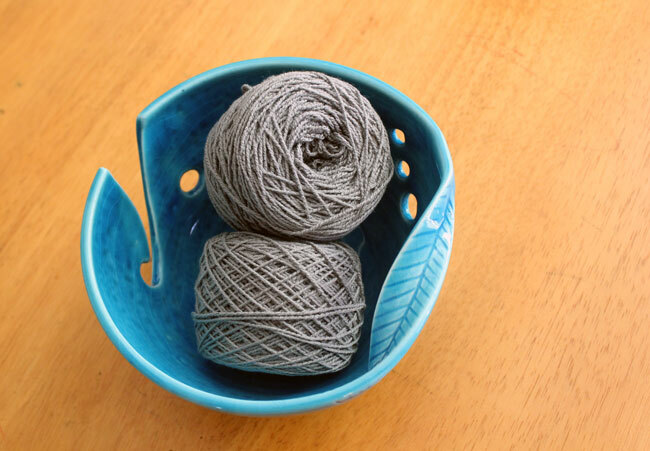 The yarn we used for the KAL was HiKoo Simplicity. 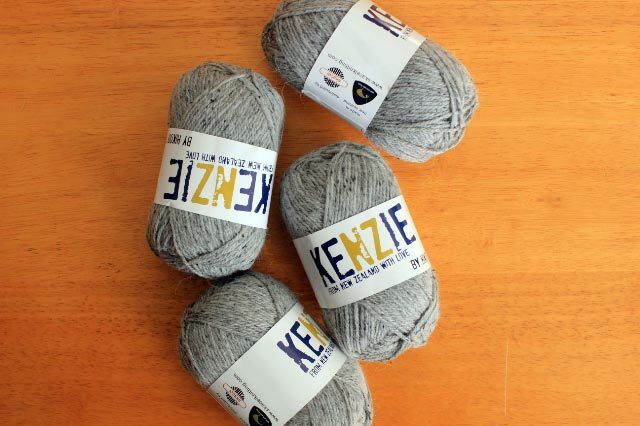 This is a great, all-purpose yarn! It is made from merino wool, acrylic, and nylon. You get the warmth from the wool, but rather than being itchy, it is super-soft. I liked this yarn so much, I chose it for the yellow hat I am making for my daughter. 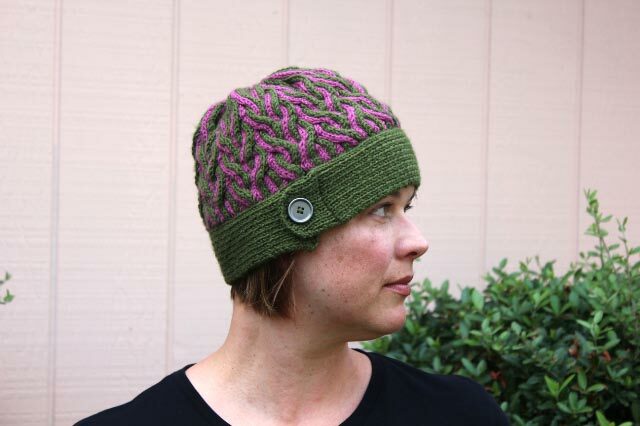 The next Progressive Needles Knit-a-Long starts October 2! I will be participating again, and we will be making a cowl. We have 3 lengths to choose from. I will make the shortest length because I have discovered that I prefer short cowls rather than longer cowls or scarves. 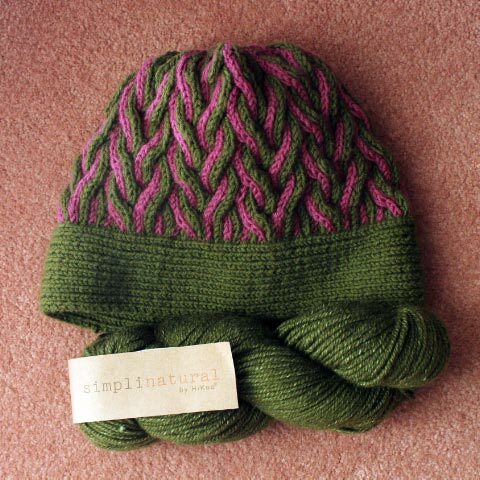 The yarn we’re using is HiKoo Simplinatural. I chose the color “First Press Olive” to coordinate with my new hat. Will you be joining in the KAL? 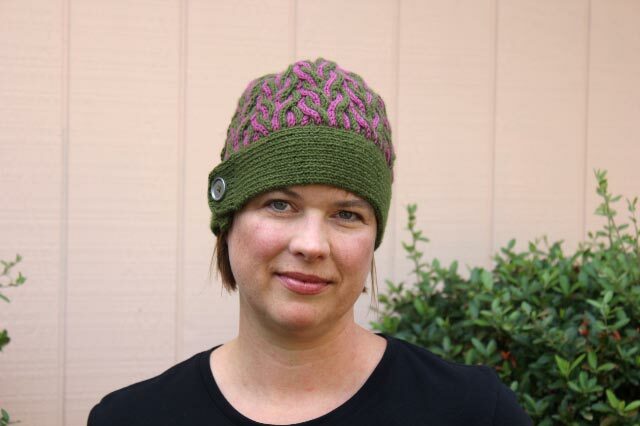 Pattern: Corkscrew Hat, by Michelle Hunter. It is available as a free download on Ravelry. Yarn: HiKoo Simplicity. My colors were “First Press Olive” and “Framboise”. 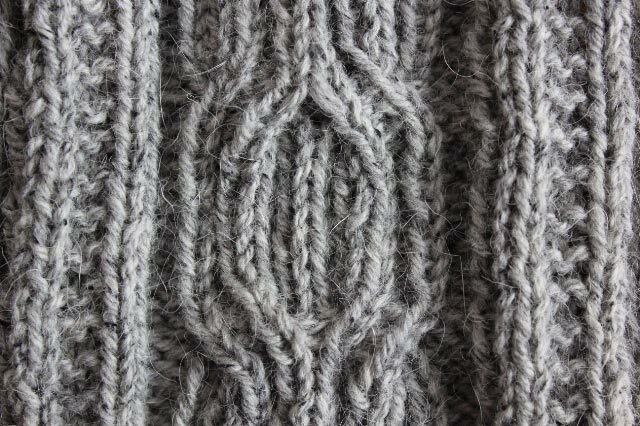 If you are on Ravelry, you can check out my project here. When I started my WIP Wednesday feature last month, my intention was to write an update at least every other week (as long as I had updates to share!). Well, it’s nearly a month and a half later. Whoops! My excuse is not that I haven’t accomplished anything, but rather that I have been so busy with my projects that I haven’t had time to write about them. Larch is coming along nicely! 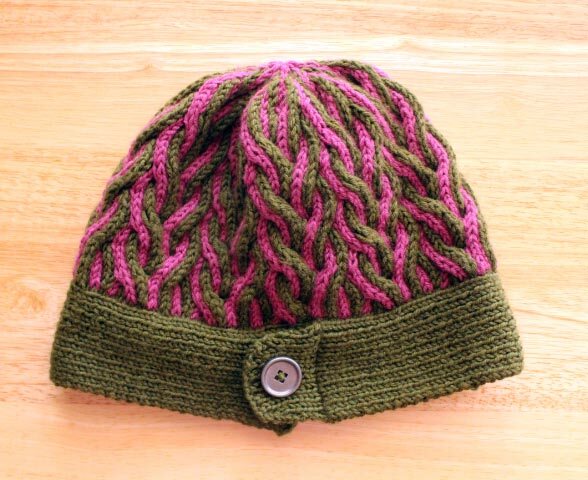 This has been a very enjoyable project and I love how the pattern shows off the beautiful yarn so well. I can’t wait to finish this one! 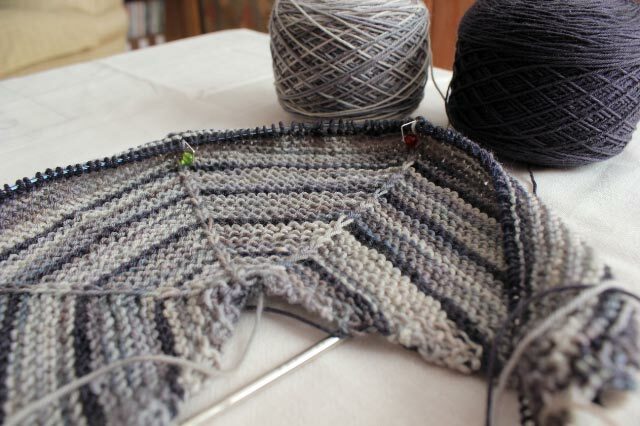 Next month I will be starting another mystery knit-a-long! This one will be a two color hat. I chose the following colors of Simplicity. I used the Pantone Fall 2014 Fashion Color Report for inspiration. This is another KAL hosted by Skacel and Michelle Hunter. For more information about the KAL see: http://knitpurlhunter.com/kal/uncategorized/july-kal-3/. 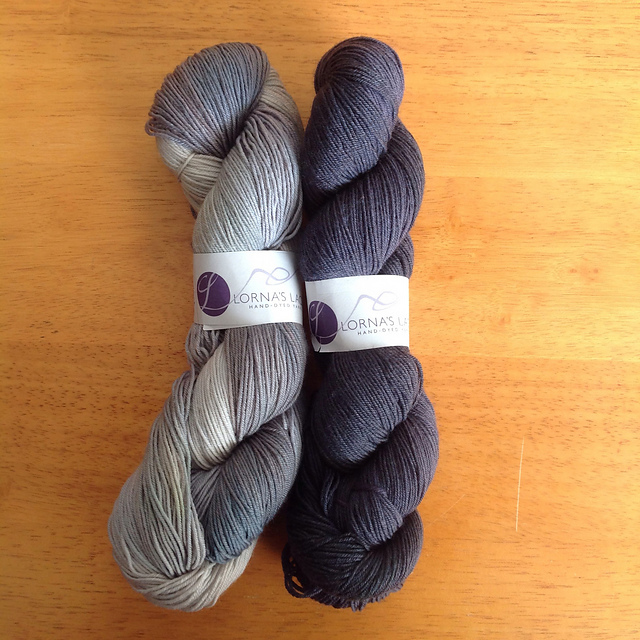 If you are interested in participating in a mystery KAL, I highly recommend Michelle’s. They are very well run and I always learn something new! My bedroom project is coming along slowly, but surely. It is slow-going because this is the first time I have done any of this, and I am learning as I go. The project also got stopped in it’s tracks due to have my mother visit to help me with a garage sale (she stayed in the room, so I had to make it liveable for her) and the school year ending. Since I last updated you, I have ripped out the closet doors, washed the walls (a painful process because of leftover wallpaper glue), painted the ceiling, and patched the walls. I had hoped to have a fun before/after photo of the ceiling and new light fixture for you, but we ran into a snag with the light fixture that requires some research and perhaps a consultation with an electrician. Trust me, the picture will be more fun when the light fixture is installed! The white bits are where the original shelf and rod were installed. I removed those and patched the walls. Right now I am working on masking the rooms so I can get the walls painted. I hope to get that done when summer school starts in a couple of weeks. Then the project will be put on hiatus until the new school year starts in August.